Get out of the city and take in the fall scenery this weekend. Pretty soon it'll be so cold, you'll be looking for ways to avoid leaving the house. But there's still a few semi-warm weekends left, and it's the perfect time to take a road trip. Denver is a great city to call home not only because of its vibrant culture, but also because of its proximity to some beautiful scenery. So if you need to get out of the city for a minute and take in the sights and sounds of nature, there are several weekend trips that will satisfy your vacation craving. Located just 1.5 hours outside of Denver and at the entrance to Rocky Mountain National Park, Estes Park features miles of trails and abundant wildlife. It's a great place to view fall colors. You can also tour the Stanley Hotel, which was Steven King's inspiration for The Shining, and even book a night in a haunted room. 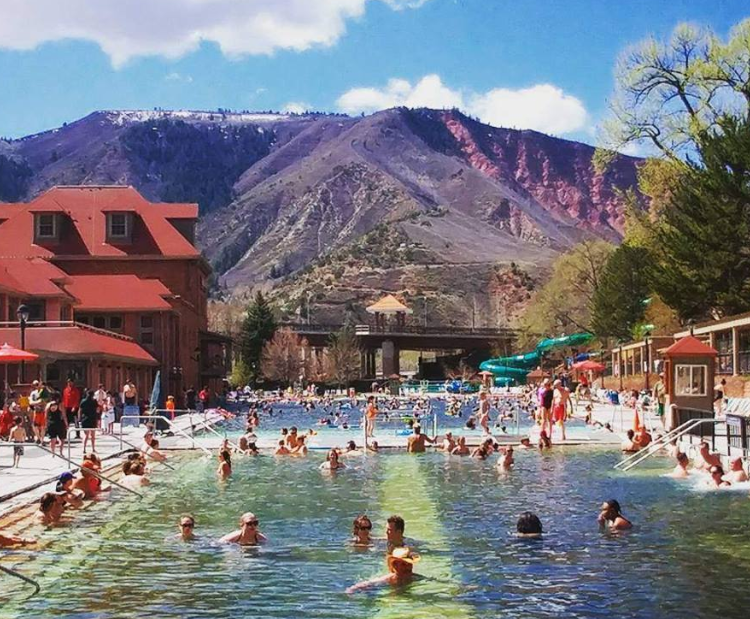 About 2.5 hours outside of Denver lies the world's largest hot spring pool. You can elect to stay at Glenwood Hot Springs Lodge or purchase a day pass and use the pool, which is open year-round. Alternatively, you can check out the Yampah Spa & Vapor Caves. 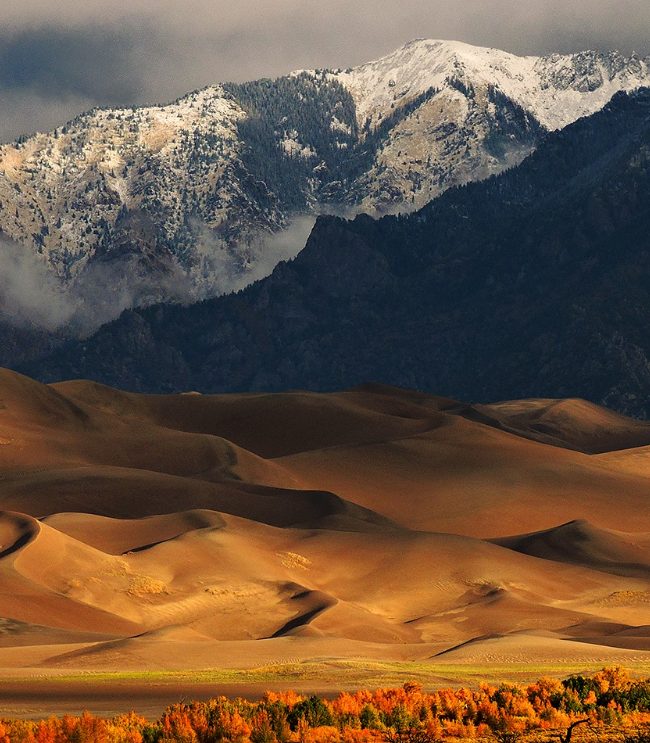 Take a longer 3.5-hour drive, and you can see mountains of sand. It's a popular camping spot since there are trails leading to wetlands, forests, and alpine lakes. 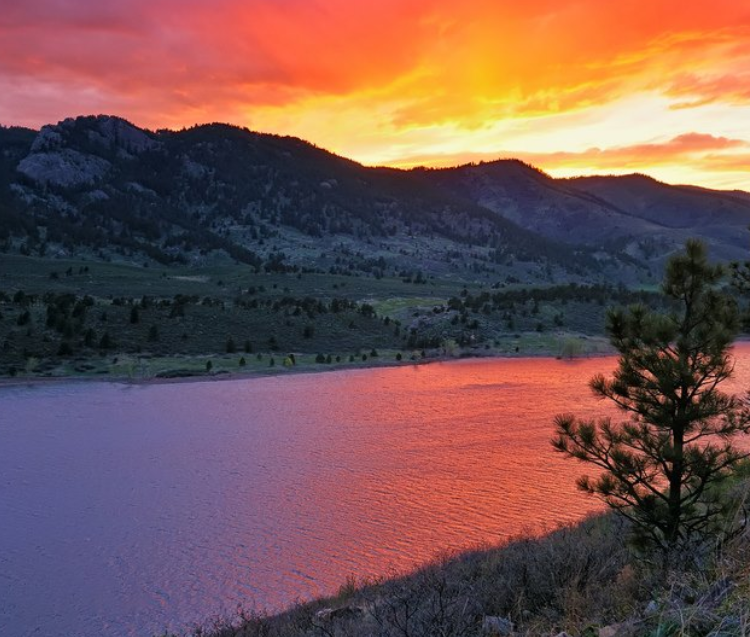 This college town is only about an hour away from Denver, and it's home to Horsetooth Reservoir, which has scenery well worth the drive. You can camp or stay at a local Bed & Breakfast. You'll need to drive about 3.5 hours to get to Aspen, but the upscale-dining spots and hiking trails are worth the trip. You can also take this getaway year-round since winter activities are popular in this ski town. You can even visit Hunter S. Thompson's favorite bar, Woody Creek Tavern. This one isn't cheap, and it'll take you four hours to get there, but it's definitely luxurious. 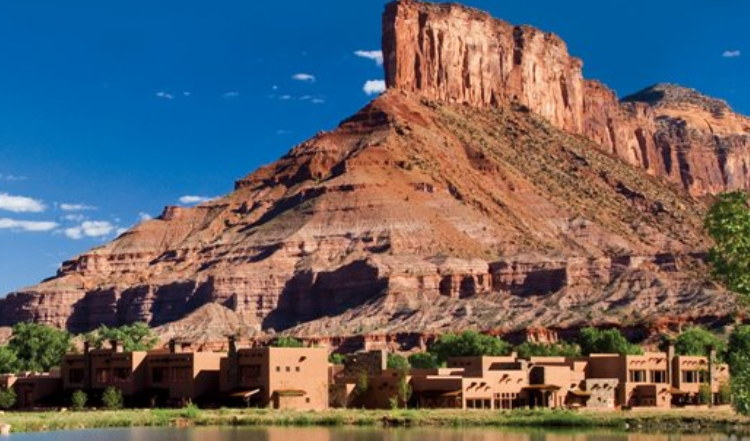 The Gateway Canyons Resort sits at the bottom of five canyons, with views unlike anything else you've seen in Colorado. In just 40 minutes, you can escape to one of the best mineral hot springs on the globe. Outdoor jacuzzi baths and geothermal caves make this a popular getaway for chilly weather. Where will you escape to this year? Let us know in the comments.